Sherrill S. Cannon is participating in the Meet the Author Book Fair on November 19 and 20th in the Eau Gallie Civic Center in Melbourne, Florida, from 9:30am til 4:30pm. 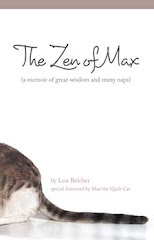 Her newest book is The Golden Rule . Social values take center stage in the latest illustrated children’s story by award-winning author Sherrill S. Cannon. Seems there’s a bit of confusion when Robert and Kait hear their mom talk about a “golden ruler.” They decide to look for this mysterious ruler. Only they heard it all wrong. What their Mom really said was The Golden Rule. Join Robert and Kait as they learn the true meaning of the words: Treat others the way you’d like to be treated. And wouldn’t that make the world a better place! 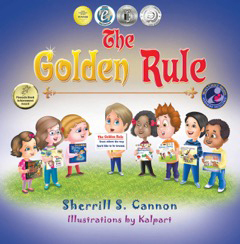 Join in the children’s quest to discover how to follow the Golden Rule and share it with others, as you meet many classroom friends from the author’s previous books.